Following the A8's official debut a few weeks ago, the flagship sedan has already taken a back seat to Audi's latest model on the horizon, the A1. 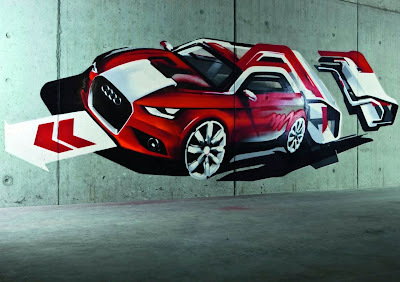 In typical automaker fashion, Audi is teasing the hell out of the A1 gearing up for the car's official world debut at the 2010 Geneva Motor Show. This is the first in what will most certainly be a long list of teaser videos, the A1 in "street art." What we believe are first images of the Audi A1 in production form have already been released by Germany's Autobild magazine, click here to check out the photos along with all the A1 details we have.